Yanara is a daughter of RW SGC Buslay Taezhnaya Skazka and RW Musrafy Anfisa. She was born this May, and will remain in the cattery. Yana has attended her very first TICA show last weekend; made lots of new friends and received very good comments from the Judges. 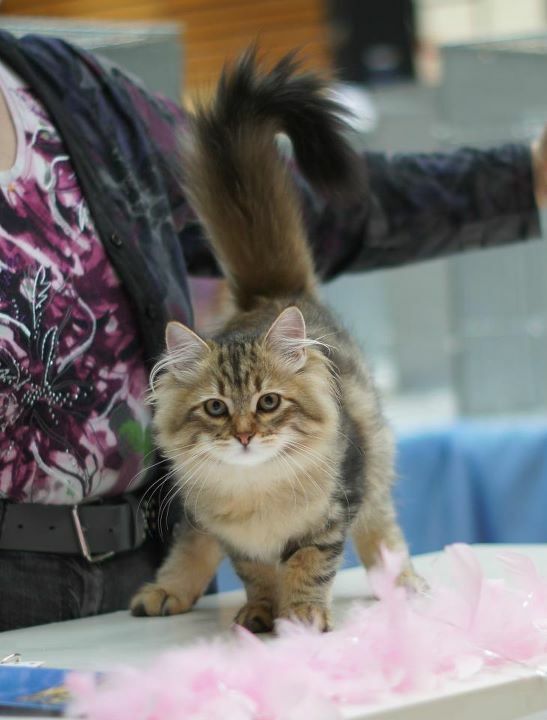 She won Best, 4 x Second Bests, 4th, 2 x 5ths, 8th, and 10th places in Kitten classes. It was lovely to catch up with all of our friends! Thank you! She is a sweetie and has a temperament to match! I kept calling her Anfisa when she was in the ring, as she has her mum's temperament.